Invented in 1983 by Kary Mullis, PCR (Polymerase Chain Reaction) has become indispensable in modern molecular biology research. Through a clever use of DNA polymerase Dr. Mullis discovered a method to quickly create many copies of a specific sequence of DNA in vitro. Many schools have already incorporated PCR into their biology lab sections, allowing the students to experience the technique in person. Performing PCR requires specific primers and template DNA, as well as DNA polymerase and a buffer containing dNTPs and Mg2+. The process of mixing the components can be time-consuming and has high risk of cross-contamination. In addition, the storage and maintenance of those components can be difficult. To address this we have improved upon traditional PCR by developing PCR EdvoBeads™, the most simple and convenient way for our customers to perform PCR. In fact, we’ve made PCR so accessible that it can be performed in a single hour and a half long lab period! 1. DNA polymerase: This enzyme synthesizes new DNA strands. Since the PCR program requires high temperatures (up to 94˚C) the DNA polymerase used in PCR reaction must be heat-stable. Therefore, scientists have adapted the Taq DNA polymerase from Thermus aquaticus, which is a gram-negative bacteria that can live at extremely high temperatures. Furthermore, the polymerase in our PCR EdvoBeads™ is able to proofread the sequences they amplify to minimize mistakes in delicate experiments. 2. dNTPs: The four deoxynucleoside triphosphates (dATP, dCTP, dGTP, dTTP) serve as the building blocks for our new DNA strands. The concentration of the four dNTPs has been formulated to decrease the PCR error rate. 3. Mg2+: Magnesium is a required co-factor for DNA polymerase. Low concentrations of Mg2+ will result in few or no products, but too high of a concentration will produce undesired products and promote incorporation of incorrect nucleotides. 4. Buffer: Regulates the pH and chemical environment for DNA polymerase to maintain its efficiency and stability. Setting up your PCR is as simple as adding the specific primer and template DNA to a single PCR EdvoBead™ and briefly mixing. The DNA template contains the sequence of the desired DNA fragment(s) that needed to be amplified. Primers provide a location for DNA polymerase to start amplifying the template and provide specificity for the PCR. Can PCR additives and reagents be used with PCR EdvoBeads™? 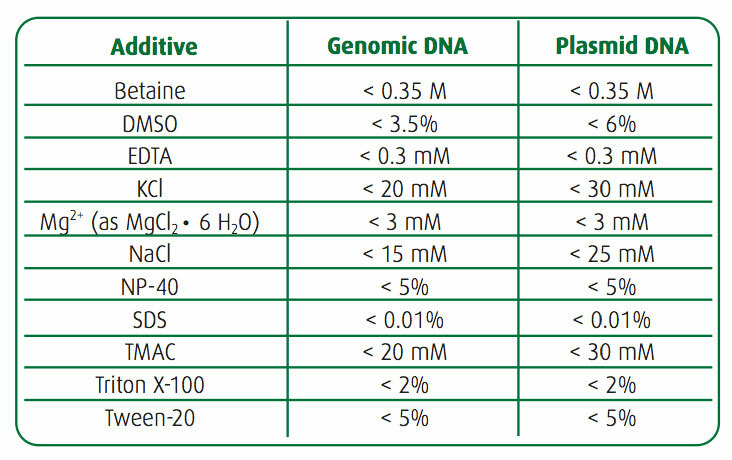 PCR additives are often used in reactions involving difficult DNA templates or primers, although they can also be found as contaminants from DNA extraction. Reactions involving PCR EdvoBeads™ can typically tolerate high levels of most additives. See below for a summary of reaction conditions for reactions involving genomic or plasmid DNA templates. 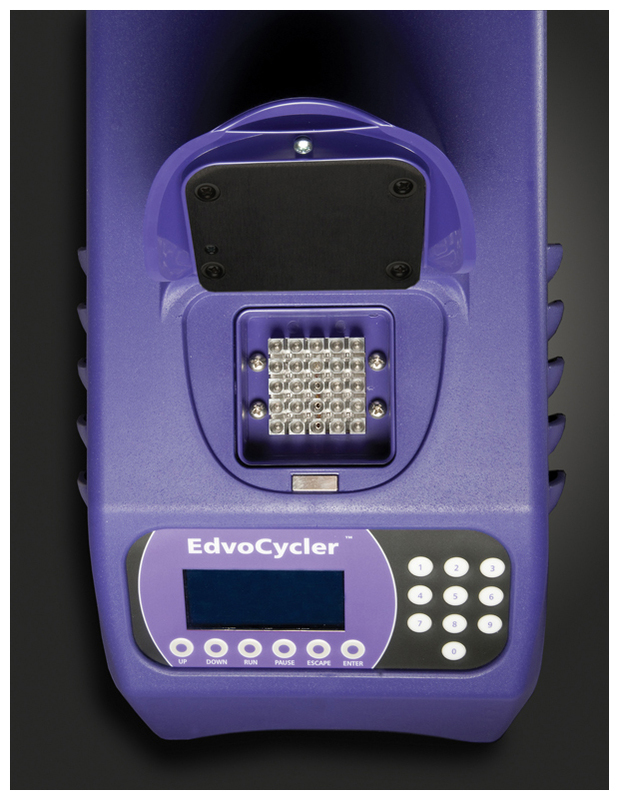 What are some advantages of PCR EdvoBeads™? •	No need to calculate the concentration of each component. PCR EdvoBeads™ have been optimized for use as a single dose. •	Easy preparation of single reactions. Our PCR EdvoBeads™, which are included in our every PCR kit and as a standalone item, already contain the Taq polymerase, buffer, dNTP mixture and MgCl2. •	Using PCR EdvoBeads™ can avoid multiple pipetting steps, reducing errors and the risk of contamination and saving time. •	PCR EdvoBeads™ are stable at room temperature with desiccant, making storage a breeze and minimizing expensive shipping charges. For more information on performing PCR using our PCR EdvoBeads™ check out our Quick Guide or our Product Guide.